ST GEORGE - WHEN THE HAMPTONS MEETS FRENCH PROVINCIAL. An elegance flows throughout this charming home from one beautiful space to another and it's hard to deny the allure of sophistication with a coastal edge that this home combines seamlessly. Four bedrooms, master with large ensuite and WIR and 3 separate entertaining areas make this home versatile and adaptable. Granite benchtops adorn the kitchen oozing “Hampton's style” with butler's pantry that also serves as an entertaining wet bar. A covered alfresco area spills out from the family room into the lush back garden overlooking the solar heated & salt chlorinated pool and spa. The home is zoned with the ability to close off for privacy when entertaining or soundproofing for children. Ducted heating, evaporated cooling and timber floors assist the relaxed ambience this home imparts. A private entrance from the gorgeous lush Crawford Street, with extra parking and a 3 car garage, keeps the home private and protected. 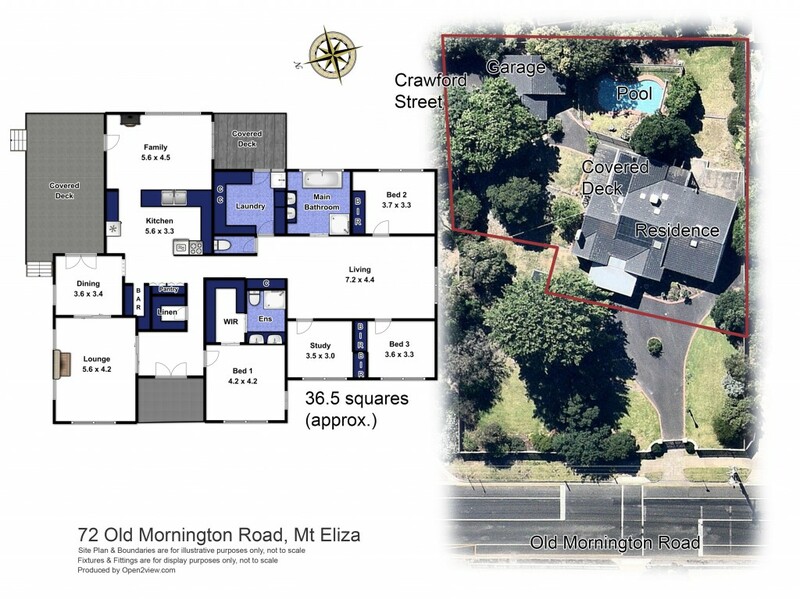 Set is one of the most prestigious and sought after areas in Mt Eliza you will simply fall in love with this home ~ The land has been subdivided to 1569sqm.